Tips for Hardy Gardeners with Tom Kasper - ready, (onion) set - GROW! Those weird lights glowing at all hours in Tom Kasper's basement? 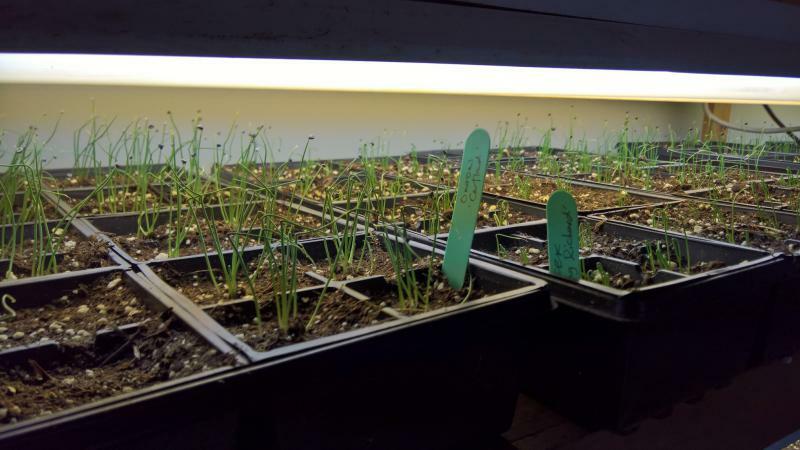 Grow lights, trying to give his onion seedlings the 60-70 degrees and the 14 hours of daylight they need to grow into fine, big, grown-up onions.